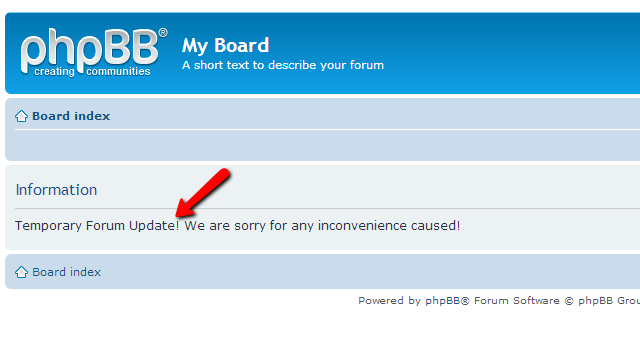 Disabling a phpBB 3 Board entirely for user access is commonly used for any updates or if you would like to deploy some major change on your Board that will affect all of the users registered on it. First you will need to login into the administration control panel of your Board and to navigate to General>Board Configuration>Board Settings. There you will be able to locate most of the basic settings for your Board. 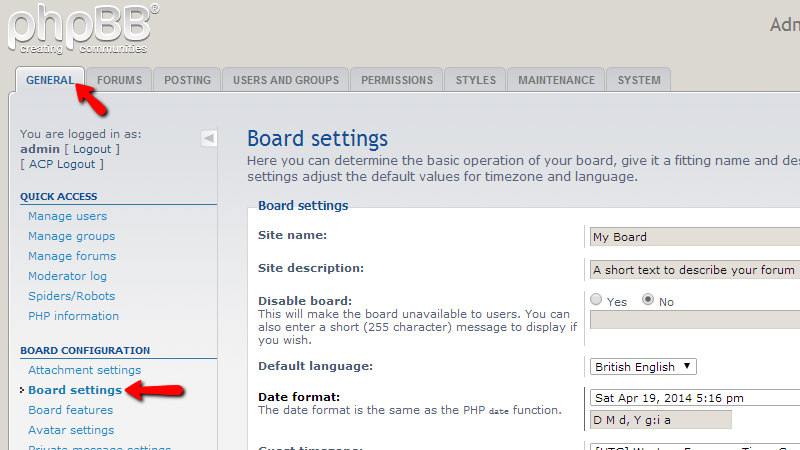 One of the Basic settings is called Disable Board and it is exactly the one you need to use in order to disable your Board. Please choose the Yes option and if you would like to you can also specify a friendly message to your users providing them with more information on the reason why your board is disabled. 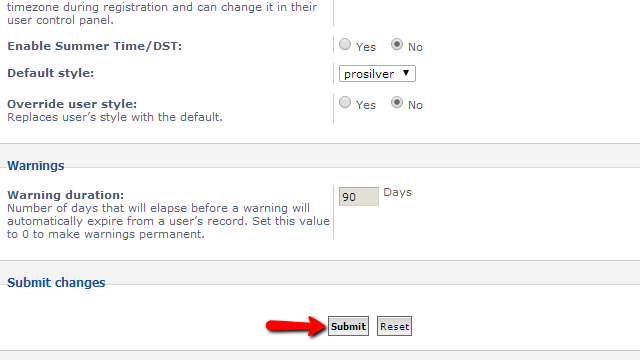 Apply the changes by using the Submit button located at the bottom of the page. One you hit that button you will be presented with a confirmation message that the change was applied. If you then logout and check your Board’s index page you will notice that the whole Board will be disabled and the message you have filled will be displayed. That is all! 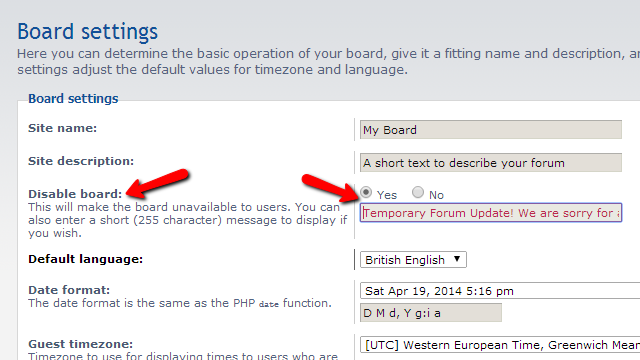 You now know how to disable your Board in case you need to!